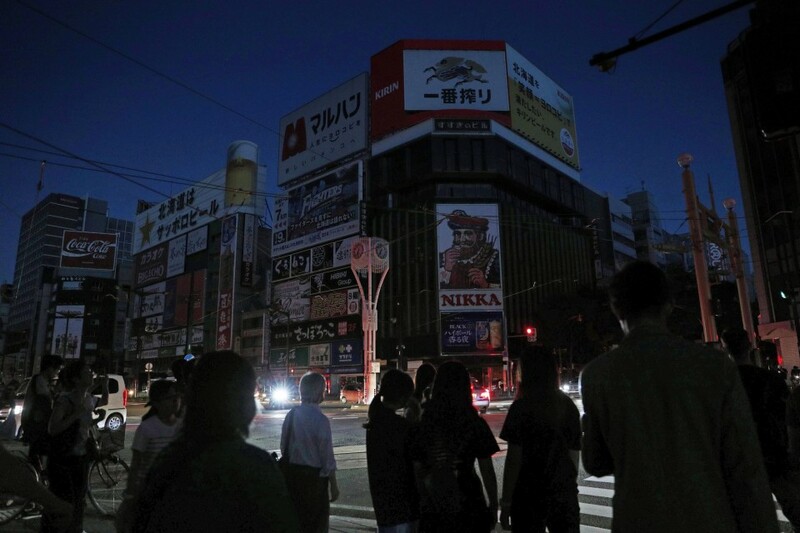 The massive blackout that hit Hokkaido following a powerful earthquake last week, occurred even though an emergency electricity interchange system briefly worked shortly after the jolt, an industry body and other sources said Wednesday. Despite the power supply from other utility firms, Hokkaido Electric Power Co. failed to adjust the balance between electricity supply and demand for unknown reasons, leading to automatic shutdowns to avoid equipment failure. According to the Organization for Cross-regional Coordination of Transmission Operators, a transmission plant connecting Hokkaido and Aomori Prefecture on Japan's largest main island of Honshu had been sending about 100,000 kilowatts of electricity to Hokkaido Electric until the magnitude 6.7 quake rocked the country's northernmost main island at 3:07 a.m. on Thursday. As the key Tomatoatsuma thermal power plant, which provided roughly half of Hokkaido's electricity before the quake, came to a halt, the transmission facility gradually boosted the electricity interchange up to 600,000 kilowatts, the maximum it can transmit until power plants in Hokkaido halted at 3:25 a.m.